Sorry for not posting in awhile but I am currently without my laptop. The one I normally use is actually the school's computer and I had to return it for updating since school is out. They won't keep it all summer though so I am waiting. This laptop I am on now is a dinosaur! And I cannot find the cord to my camera. Normally I just pop the memory card into my laptop but this computer doesn't have that slot. So even though I have photos of new art to share it will have to wait a bit. This is a photoshopped version of one of my pictures that I was trying to make look like a ttv photo. TTV means through the viewfinder. People take pictures with their digital camera through the viewfinder of an old film camera. I forget which kind though, the ones that you have to look down into with the really big viewing area. Can you tell I know next to nothing about photography?! Well hopefully I will be able to dig up that camera cord soon. Hope your computer arrives back to you swiftly! even though you say you don't know anything about photography, i still really like what you did. Care to divulge your secret? Thanks Barbara and Lynn! And it's no secret either! 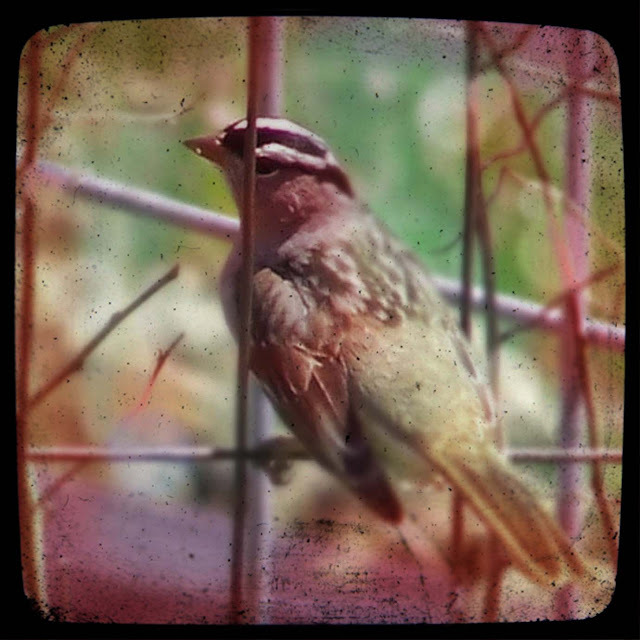 I just messed around with the photo in Photoshop and downloaded a ttv border to use from the internet. I'll post the link if I can find it again. Ok! Here's one but I'm not sure if it is the specific one I used. If you know anything about photoshop...all I did was put the border on a separate layer and put the photo on a blend mode. I made several layers with it and played around with hue/saturation and differnet brushes for texture and color variations. thank you for the little tutorial. i'll try and play with it when all my shows are done and i can breathe.